You can have the best graphics card available, an amazing sound card that can make your neighbors move away, and everything else you can possibly need for your perfect custom gaming rig. And you can’t do anything with it, because you somehow forgot probably one of the most important components: the monitor. So now you are in a pinch and need to get a monitor and quick. But you only have $100 until your next payday, so what will you do to get out of this desperate situation. That is why we are here today, for those people who need to get a monitor on the cheap. But these budget monitors aren’t just good for those on a budget, these are the best possible gaming monitors available for $100 and under. These monitors are exactly what you will need for your gaming rig, providing a range of high-quality display that will help you get the most out of your graphic card. Even if you only need your monitor for displaying movies in HD, these monitors will be more than capable of providing that experience, and all for an affordable price. But you are here for the monitors, so without any more delay, let us get to the best gaming monitors for under $100. While there are definitely better monitors for gaming under $100, the Dell 19 inch monitor is very affordable and has a nice slick black design that really makes it look much more expensive than it is. The response time is a little high, but other than that I have to say this is a good monitor. 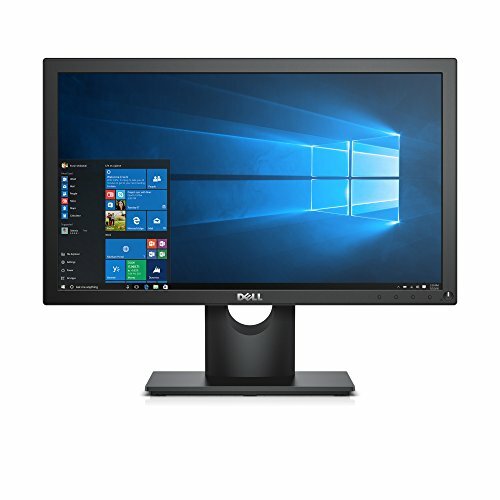 Coming in at under $80 dollars is a monitor which comes from another well-known name in computers with Dell. A 19-inch monitor that comes equipped with many gaming essentials, the Dell may have a place in many gaming set-ups. To start, the Dell is capable of supporting 16.7 million colors in 1920×1080, 60hz HD. This will bring all the vibrant colors of your games to life at a price point that is more affordable than a lot of options that provide these features. The Dell monitor also comes with something that is called a “3H Hard Coating”. This coating helps eliminate glare that some HD monitors can have when confronted with certain light sources. This means you can game with the window open and not have to squint to see the monitor. There are a few drawbacks for this monitor that can turn off many. To start, there is only a VGA input, which means that the monitor can not be used with any sort of device that requires certain inputs, such as HDMI. It is also very bare bones in general, having less features and slightly duller colors than other monitors available. While this is only a VGA monitor, I still have to say that it’s a good buy because of the lightning fast response time and good refresh rate. If you’re just looking for a monitor that offers a lot for the money the Asus V207P is a good buy. This also doesn’t have any HDMI connectivity which can be an issue for people just looking to hook up a device to a bigger monitor. 80,000,000:1 ASUS Smart Contrast Ratio dynamically enhances the display's contrast to delivering lifelike images. Inputs of D-Sub ports. If you are looking for a monitor in the same price range as the previous Dell monitor, but with more features for speed and color, we have the ASUS VS207D. At just two to five dollars more than our previous entry, the ASUS is one of the best monitors in the price range. To start, the ASUS has a very quick, 5 ms response time. This blows the Dell out of the water, providing a clear picture with almost no blurring or other distortions. The ASUS also comes with “Video Intelligence Technology”, which enhance video quality and colors, so that no colors on the screen will appear washed out or dull. Also, the ASUS has an 80,000,000:1 contrast ratio, which also helps considerably to enhance the video to its highest quality. Despite these features to improve the quality of particular images, the ASUS does have a lower resolution for an HD monitor, coming with a resolution of 1600×900. It also only comes with the VGA input, much like the Dell monitor. Overall, the ASUS is a great budget monitor, especially for those that would rather have a monitor that reduces blur and enhances colors. And for around $87, it is a sound investment. Yes ViewSonic, might not be that well known, but I can say that the VA2246M is a steal! You’re getting a built-in speaker, full 1080p resolution, and low MS response times. All this together makes it one of the best monitors for under $100 . This is one of the few big brand monitor producers that offer this much value for such a low price! Our next monitor, coming courtesy of ViewSonic, returns us to the higher price point of monitors with a cost of just about $100. 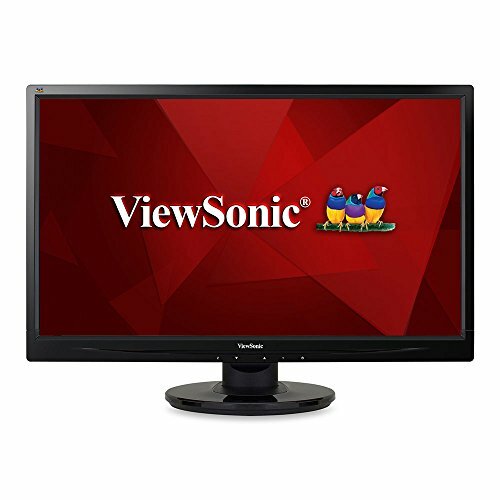 But despite the higher price, the ViewSonic VA2246M would be money well spent. To start, the ViewSonic provides a whopping 10 million:1 contrast ratio, and in full 1080p HD and with a fast 5ms response time. This makes it produce some of the best picture quality on the list today, with crisp, vibrant colors with a smooth playback. The ViewSonic is also one of the few monitors on this list that has its own built-in speakers, making it an excellent choice for those that have yet to get a set of their own. And for those that are looking for a good energy saving monitor, the LED backlight on the ViewSonic comes with an energy efficient ECO mode for less power consumption. Again, for those that are looking for an HDMI port, the Viewsonic sadly does not feature one, having inputs for only VGA and DVI, of which the DVI cable is not included with the monitor. And while it does come with speakers, they are only good for a temporary fix until you can buy your set, as the audio quality of the speakers is lackluster. While it is unfortunate that gamers looking for HDMI compatibility will not find it here, those that are using other inputs will find this to be one of the highest quality monitors without breaking the bank. With amazing picture and a consumer friendly ECO option, this is a monitor that is hard to argue against. If you just want the cheapest option, then the AOC E2050SWD 20-inch monitor is a good choice. It is literally close to the same price of one triple A game! It also has a DVI and VGA connnectors, and great color contrast. While it may not have quite as many features as other more expensive monitors today, the AOC I2267FW still holds its own. With a 21.5 inch screen (shows 22 on the ad but it’s not!) has still plenty of great features. To start, despite the price point, the AOC has a fast response rate. With a speed of 5ms, this monitor provides lag and flicker free gameplay picture that even some of the most expensive monitors can’t compete with. Another plus of this Monitor is the easy setup. If you are just as much in a hurry as you are on a budget, the AOC sets up in minutes, freeing up your time for more gaming and movies. And speaking of gaming and movies, playback for both are vibrant and colorful on the monitor, with image quality that can compete with some of the best. Of course, as stated above, there is a lack of more advanced features, like color correction, high contrast, etc. And the image quality is good, but it isn’t nearly as high quality as some other, more expensive monitors. But even so, you can not argue with the price point, which is highway robbery considering what you do get with the monitor. For quick and inexpensive gameplay that still looks plenty good, go with the AOC I2267FW 21.5-inch monitor. 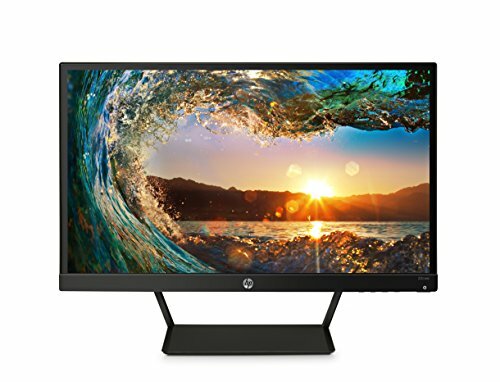 If you’re looking for one of the most stylish gaming monitors under $100, then I have to say that the HP Pavilion 21.5 inch has all the others beat. This thing is stylish and looks good! It’s on the small side, but for the price I really recommend you check this monitor out. Our first monitor comes from the tech wizards over at HP with the Pavilion IPS LED HDMI VGA Monitor. And for just under $100, it is a monitor that provides a ton of bang for your buck. To start, the Pavilion comes with In-Plane Switching (or IPS) technology. This allows for clear HD picture no matter what angle you may be looking at the screen from. This is a great feature to have in the event that you are setting up multiple monitors. The Pavilion is also capable of very high levels of video quality. This comes courtesy of the monitors 1920×1080 Full HD, 16:9 Aspect Ratio, 8,000,000:1 dynamic contrast ratio, and 7 mms response time. This makes for visuals that will make your gaming shine its brightest and get the most potential from your high-end graphics card. Comparatively speaking, the price on this monitor runs a bit on the higher side of things, with the price tag being just a penny short of $100 at the time I am writing this. With monitors that are of good quality that are cheaper then this, the price may be enough to turn some off, however many of those options do not have HDMI support like this does. That aside, it is a great monitor that adds unbelievable video quality at an affordable price. And in the event you want to use the monitor for non-PC based gaming, consoles are able to hook up to the monitor (although you may need an alternate sound source). All in all, the pavilion is a great monitor that is hard to pass up. If you’re looking for the best monitor for gaming under $100, then the Asus VS228H-P is easily my top pick. with a 50:1 color contrast ratio, 5MS response time, HDMI port, and so much more, the Asus VS228H-P brings high-quality to people looking for affordable prices. Do you want something that could easily cost $50 more and still sell? Get this. Our final monitor today is another ASUS monitor, this time, the VS228H-P. While more expensive than its cousin, I cheated and spent a little over the $100 mark – but I think you will let it slide. 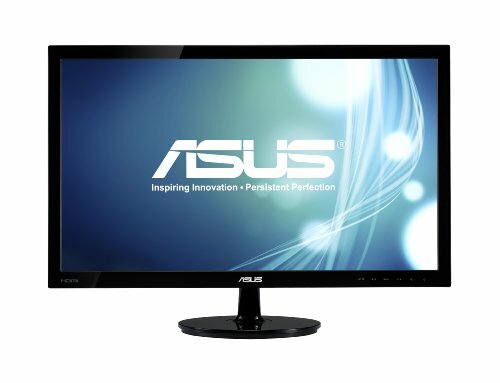 To begin with, this monitor allows a user to switch display modes through the monitor’s “Aspect Control”. This feature makes switching from full screen to 4:3 ratios without compromising quality, and all at the touch of a button. This is essential when choosing the right display option for either games or movies. The monitor also features a higher, full HD resolution than the other ASUS model, while still maintaining while maintaining the same 5 ms response speed, and having a 50m:1 contrast ratio. This monitor also comes with all the needed cords and connections that are needed to get started using the monitor, which includes a DVI cable, an input option the other ASUS did not have. There are a few complaints with this monitor as it concerns the base of the unit, which is rather flimsy. This fact causes the monitor to wobble a bit when using the controls on the screen. This really is a minor complaint, though, as despite this it doesn’t seem like the base is actually fragile. Still, it may be an annoyance for some. I have yet to see any product that has as many reviews as this one on Amazon – which speaks to how many people agree with our opinion. That last fact may seem to be a bit of a detriment to some but it really should not be, as the ASUS VS228H-P provides some of the greatest image quality in the price range. Lifelike, smooth imagery and user-friendly options, as well as much more, makes the ASUS a great monitor choice. With so many good gaming monitors under $100, I honestly have to say that there has never been a better time for someone who’s gaming on a budget. You certainly have many options available to get you gaming soon. So what are you waiting for? 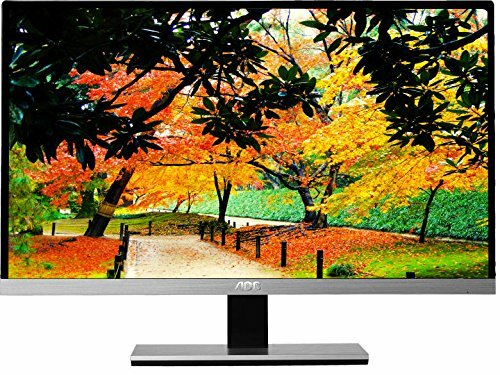 Why was the Acer G227HQL not included, it is 21.5″ 4ms response time, 1080p and has HDMI for $99.99. Thomas, this monitor has finally come down in price to below $100, we will have to pick one up to review. From the spec sheet, this has all the good traits of an excellent monitor – at that price, it should be a front-runner. We will update our post in the next little bit once we have a chance to review. Hi Frank, I just wanted to ask why I’m seeing $113 dollars for the ASUS VS228T-P 21.5″ 1080p LED Monitor.. Surely it couldn’t have gone higher since the time you posted this. Prices do go up and down as demand fluctuates. Right now it’s a little bit more expensive, but still a great buy! 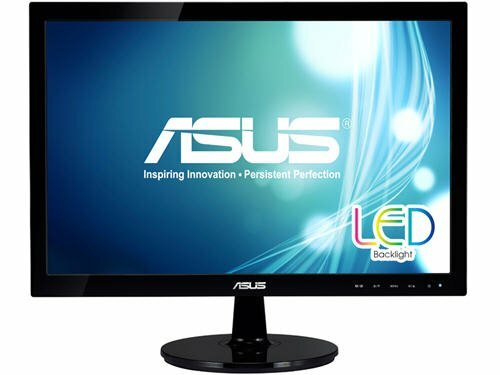 I really liked the ASUS VS228T-P 21.5″ 1080p LED Monitor as it has got 5MS response time and gives 1080p resolution. Picked one up and just wanted to say thanks for the guide!